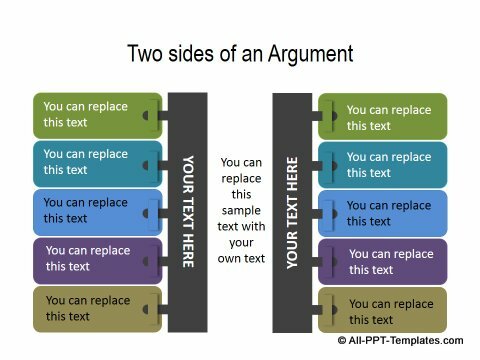 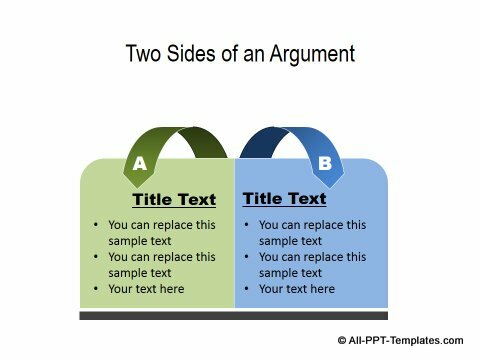 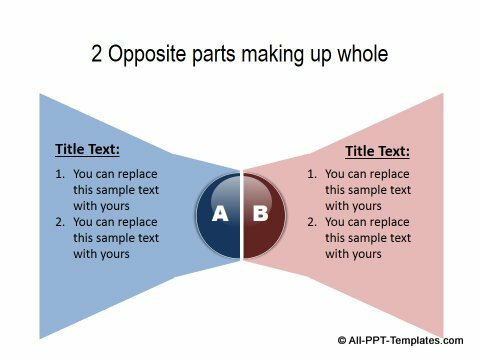 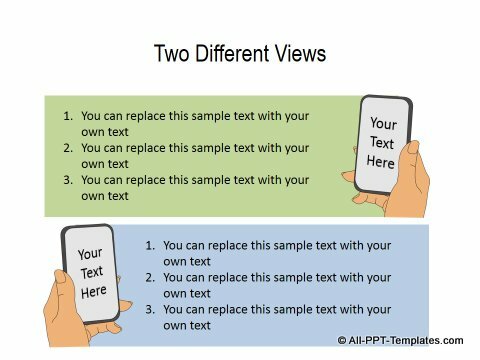 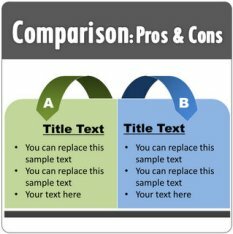 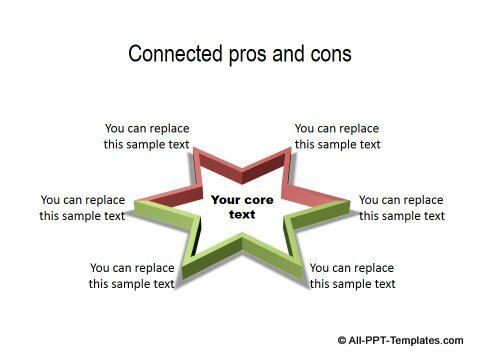 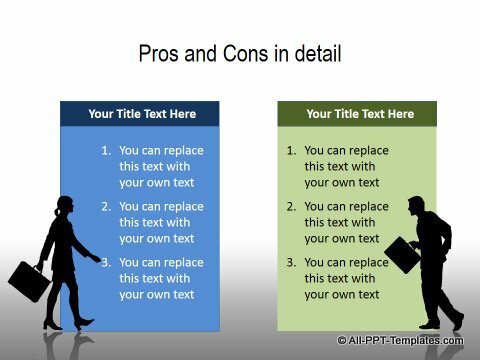 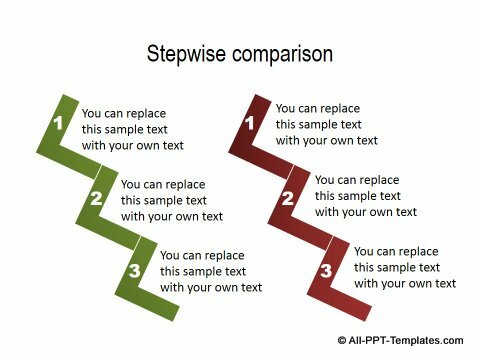 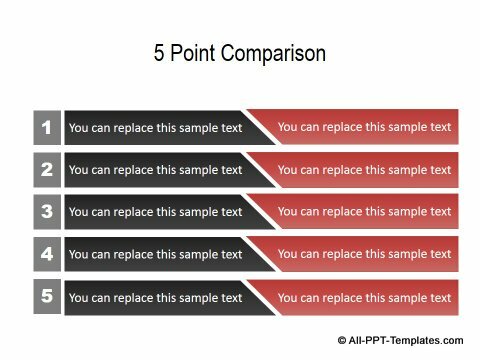 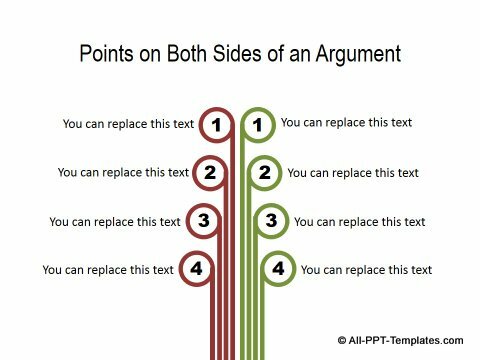 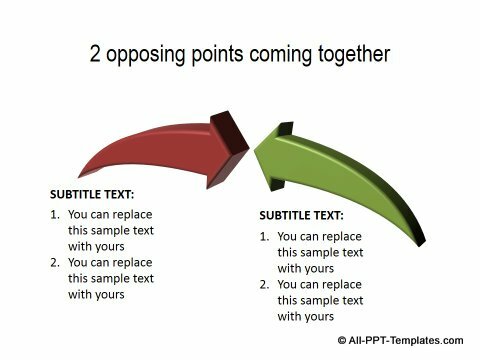 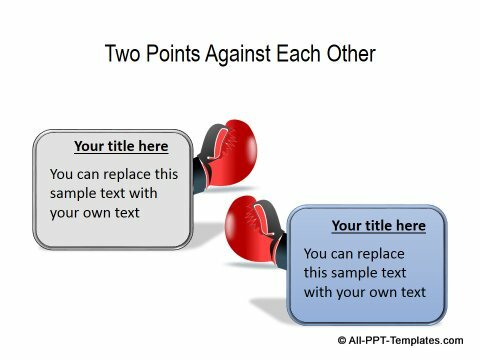 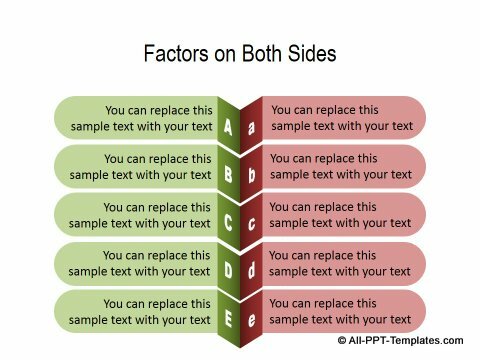 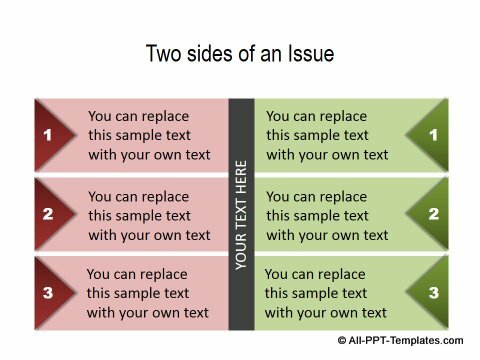 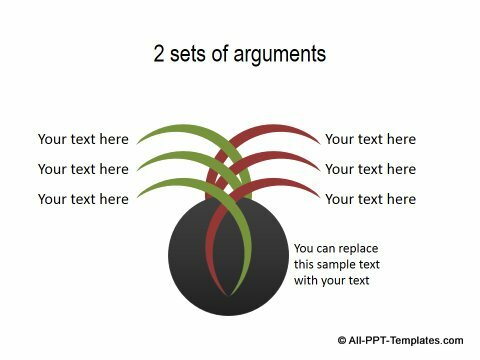 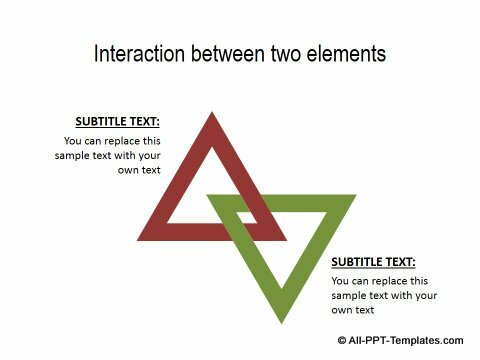 These set of templates help you present pros and cons, 2 opposing sets of ideas, advantages and disadvantages etc. 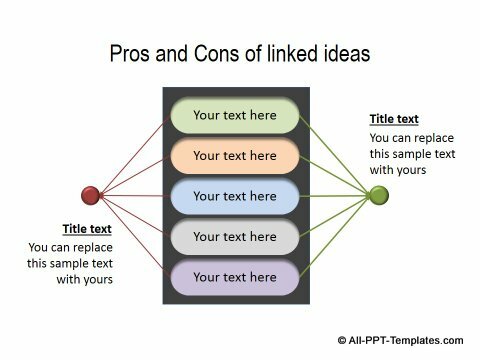 to evaluate your ideas. 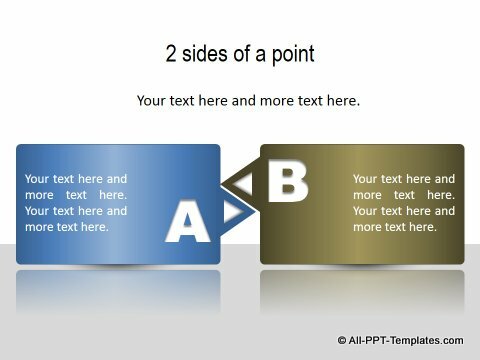 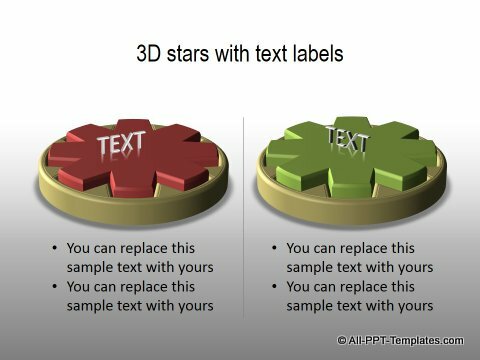 You can easily customize these templates to your requirement. 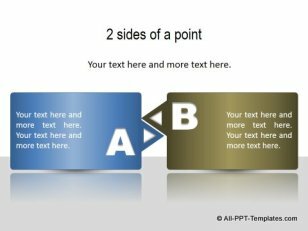 All 3D, gradients and shadows are created completely using features in PowerPoint.